The following tips are provided for your assistance as you search for a music instructor. Please contact Megan Gilles for further information on her studio. What...Do I ask a Prospective Teacher? 1. Does your program include theory? sight reading? ear training? 2. Does your program provide ensemble experience? group activities? recitals? 3. Do you have a printed studio policy regarding missed lessons? vacations? payments? 4. What is your educational background? degrees? 5. Are you an active member of any professional organization which emphasizes continuing education? Where...Do I find a professional teacher? 1. Phone the Minnesota Music Teachers Association (952-345-0629) or check their website for a listing of teachers in our area (www.mnmusicteachers.com). 2. Ask at the local library for directories of professional music organizations. 3. Ask a student whose performance you have enjoyed. 5. Ask the school office or music teachers in the school for a list of qualified teachers. 6. Ask music stores if they keep a list of area teachers. 2. Teacher's educational background and experience. 4. Number of additional activities provided. Tuition is generally paid in advance by the month, semester, or year. Here are some questions to ask while interviewing a prospective music teacher. Do you have a degree in music? What is it and where is it from? What are your studio policies with regard to fees, cancellations, make-up lessons? What other policies should I know about? What strategies do you use to motivate students who begin to lose interest? Do you use any music other than classical music? What if my child is interested in playing rock, pop, jazz? Do you spend time during the lesson helping kids learn good practice habits? How? Do you teach students how to improvise? Memorize? Play by ear? Compose their own pieces? Do you work on sight-reading? Do you teach music theory? Music history? What do you do in the way of ongoing professional development? Are you nationally certified? 1. Does the child want to take lessons? 2. The teacher you choose should be personable and must like people and children. This may seem an understatement, but can prove disastrous if the teacher is not personable! 3. Don't think "anyone" can teach beginners." The first teacher most often determines the child's success as a musician in the future. They are the ones who set the foundation of how to practice, teach the fundamentals of reading and technique, and instill a love of music in their students. 4. The teacher should have the same goals as the parents and student. Are they teaching just how to play the piano, or are they teaching musicianship? 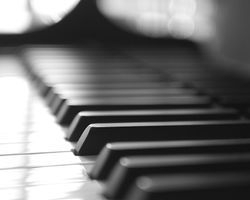 Is the goal to become a concert pianist or to have a knowledge and love of music? Discuss what performance opportunities are available to the student and which ones are required by the instructor. 5. The teacher must want what is best for the student and not push for contests, gold cups or unrealistic goals, while at the same time still encouraging and motivating the student. 6. The teacher must have open communication with the parents of young children. The parents should supervise practice, or at least be in the room reading a book, sewing, etc. 7. The teacher may have a parent come to lessons or at least be open for them to come for some lessons. 8. The teacher must teach to the individual student--this is why they are taking private lessons. 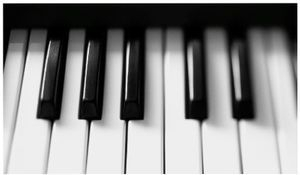 Teachers have a vast resource of piano methods and they need to use them or be willing to change if the material does not fit the student. 9. Ask the teacher the ages of her students and what she likes to teach. It's important that the student and teacher have a good rapport and working relationship. Request an interview with prospective teachers to get a feel for their personality, teaching methods, goals and studio set up. 10. Ask for the teacher's credentials not just concerning music, e.g. are they active in the community? 11. Ask for the teacher's goals for students. Some good goals are for the student to enjoy music in general, learn the notes and be able to sightread. Practicing is usually difficult until a routine is established. The teacher and parents need to provide positive reinforcements plus a lot of guidance in the first year. 12. Attend a student recital of the teacher you are contemplating. These tips are provided by Sharon Westbrook-1994 North Dakota Teacher of the Year. Sharon has been teaching for 35 years.